Ritalin is it the best answer for hyperactivity? To Drug or Not to Drug? Have you researched the side effects of Adderall & Ritalin? Why not Pop a Pill? heir problems may interfere with their family life, ability to learn and form new friendships. It often leads to life-long disability, including more serious illnesses that are difficult to treat and co-occurring mental illnesses. So, why not take a pill and hope it can somehow either solve the problem or balance your child’s aberrant brain chemistry? Ritalin, Adderall, Concerta, Vyvanse have been Categorized by the FDA as Class II Narcotics! The problem is that most of the drugs, for instance Adderall or Ritalin, used to treat these complex disorders are categorized by the F.D.A. as class II narcotics. Amphetamine; in street lingo is called “speed.” Feeding “speed” to children under the protection of a legal prescription, is called “treatment”. All these drugs have many possible short-term and long-term side effects; some, are very serious. I encourage all parents to carefully scrutinize all possible side effects first before deciding whether it is an acceptable “tradeoff”. A recent study by the National Institute of Drug Abuse in Bethesda, Maryland showed that individuals who did poorly on cognitive tasks and assignments actually did worse on Ritalin, Adderall and Concerta! It is known that these drugs can cause anxiety, mood disturbances, arrhythmias and even cardiac arrest; they have also been shown to atrophy certain parts of the brain. 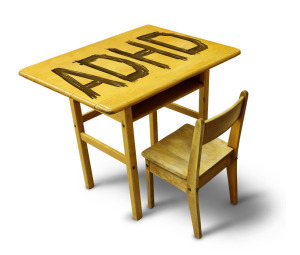 What are the Causes of ADD & ADHD? Vitamin and mineral imbalances, and omega-3 deficiencies. Food, chemical and/or environmental allergies/hypersensitivities. Candidiasis, chronic dysbiosis, “leaky gut’ syndrome. Hormonal imbalances, esp. adrenal and thyroid: hypo or hyper-functioning. Inappropriate immune response to parts of the brain and/or its biochemistry. Human body energy field distortions. Cranio-sacral and CSF flow impairment. Neurodevelopmental syndromes and structural anomalies. Microcirculatory disturbances in the brain. Hidden viruses, parasites or other pathogens in or affecting the brain/CNS. Chronic inflammation of the brain, and neurotransmitter imbalances. Concurrent learning disabilities such as dyslexia. Low-level (soft) neurological damage to the brain due to trauma, physical and/or chemical. Acid Ph. and low oxygen content in neurological tissues. Deep emotional disturbances that become somatized e.g. due to major family disturbances such as death, divorce, disease etc. Carbohydrate sensitivity with resulting dysinsulinism. Which of these factors is corrected by any of the current pharmaceutical stimulants? Is ADD/ADHD (Attention Deficit Disorder, Attention Deficit Hyperactivity Disorder) a drug deficiency syndrome? Should underlying causes be ignored? What Natural treatment for ADD/ADHD is there? Alternative or holistic medicine, on the other hand, can present very effective therapies for these individuals without any of the worrisome and dangerous side effects. Is it not more rational to first examine what has gone awry in the metabolism and biochemistry, and then correct the underlying weaknesses, deficiencies, toxicities, allergies, mineral ratio imbalances, excesses etc? What Tests for ADD/ADHD can be done? What tests should be at least considered before embarking on a treatment program, whether drug oriented or holistic? Comprehensive metabolic profile: CBC, CMP, and RBC for magnesium, zinc, and calcium. Hair tissue mineral analysis for heavy metals and mineral ration imbalances. Lipid profile, essential fatty acids. EEG (if seizures are suspected). In my 37+ years of practice, I have found how important it is to size up each case individually, and decide what is most likely needed and in what priority. When taking responsibility for a case, it is important to leave no stone unturned.